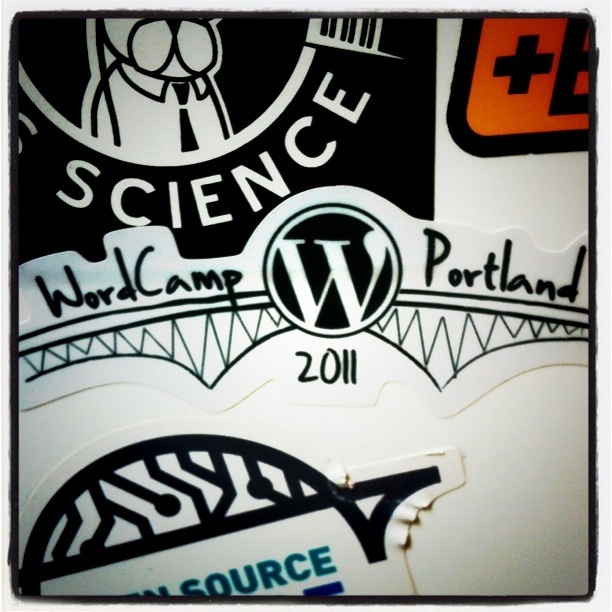 I’ve spent the weekend at WordCamp Portland. You know… with the wordy people. But it seemed strange to be here and not be blogging about it so while others poured into sessions I opted to pull up a patch of floor in the hallway and hide to write this post. At this point I should note that I attempted to write this post 2 hours ago, but because this is WordCamp, and because this is Portland hiding and blogging doesn’t work that well. I forget sometimes what a social community this group of of bloggers, designers and developers is. See you next year WordCamp PDX. Great meeting you. Hope to see you next year! What did they serve for refreshments? I would love to attend something like WordCamp!